You have found 500 Play Bonus tokens on your ethereum wallet and don't know what is it and where did it come from? Do not worry, we will explain everything to you. Why have you received Play Bonus? First of all, Congratulations on getting Play Bonus! You have received them because our bonus algorithm had chosen you and sent 500 Play Bonus tokens to your wallet. According to tokensale exchange rate 500 PLAY tokens are equivalent to 0.05 ETH (about $35). So they are worth something. What can I do with Play Bonus? Play Bonus tokens are not real PLAY tokens yet. You can’t send, exchange or trade them. Moreover all the Play Bonus tokens will be burned after June 15th, 2018. What you can do is to convert them into real PLAY tokens with 1 to 1 exchange rate. How to convert Play Bonus into PLAY tokens? Sign up in LetItPlay control panel. In LetItPlay Control panel choose Convert Bonus Tokens and enter your ETH address with Play Bonus. 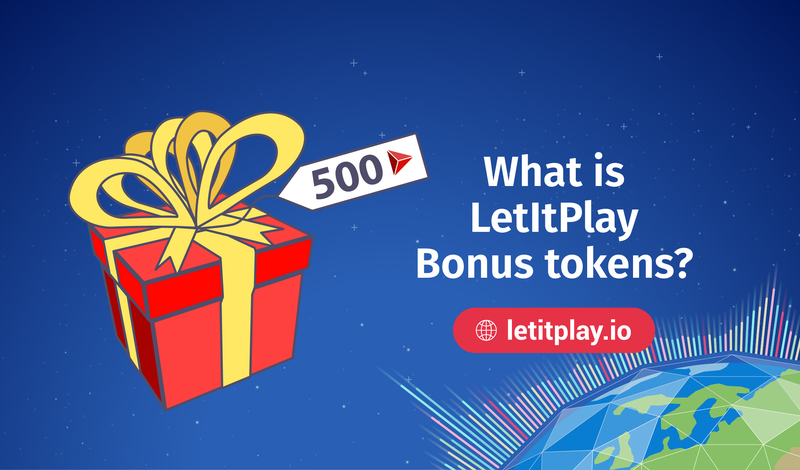 After LetItPlay tokensale will be successfully finished (June 15th, 2018) you will receive 500 PLAY tokens. Only first 5000 registered users will be able to change Play Bonus to PLAYtokens. Hurry up! After LetItPlay tokensale will be succesfully finished (June 15th, 2018) you will receive 500 PLAY tokens. It should be successfully instead of succesfully. Congratulations, your post received 3.74% up vote form @spydo courtesy of @letitplay! I hope, my gratitude will help you getting more visibility. Nice, thanks. The airdrop certainly worth something. I am bullish about LetItPlay token sale.